For now, only DeRozan has been informed that he's in the trade, league sources tell ESPN. Toronto president Masai Ujiri informed DeRozan overnight, sources said. Thanks for the memories Deebo! Need to see what other players are included in the deal before making a final assessment. If OG and/or Siakim are in it, then the deal would be awful. If it is the one posted by (I can't remember the name), then it's a pretty solid deal. My guess is that we are sending Wright in the deal since we signed Brown yesterday. I'll miss him more than DeRozan. Depending on the other pieces....I think Masai sees this as win-win. If Leonard stays then great! If not then we get cap space. Trade Lowry and Ibaka...sign Butler and Irving. This is it...the beginning of Raptors designed by Masai. CAP SPACE? CAP SPACE IS A WIN? DDR is not LUOL F****** DENG. You can F****** trade DDR into F****** capspace and any moment. And get shitload of assets in the process. And a F****** huge F****** TPE. FFS. I wonder if it's a much bigger deal (maybe involving JV) and we are also getting Aldridge? There has to be another player coming here, and if it's Gasol I'll cry. And I don't think we make this type of move and don't do something else. 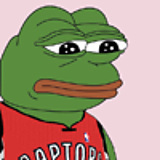 DeRozan, Wright, OG or Poeltl and a 1st. We're getting more than Leonard imo, I'm hoping Aldridge. And I still think we're moving KL to the Lakers. Although, if Aldridge us coming it would mean one of JV/Ibaka would be moved. Leonard, Gasol, and Green/Mills for DeRozan, Poeltl, Wright, and a first-round pick.